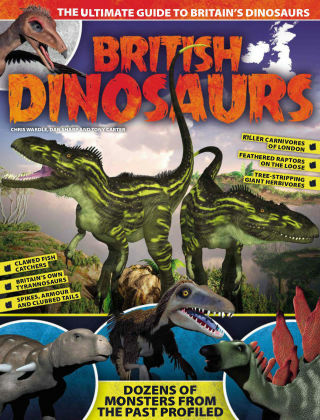 With Readly you can read British Dinosaurs and thousands of other magazines on your tablet and smartphone. Get access to all with just one subscription. New releases and back issues – all included. The first dinosaur ever to be identified was found in Britain and the word ‘dinosaur’ was coined by a British palaeontologist, Richard Owen, in 1846. Yet dinosaur discoveries in this country have long been overshadowed by finds made elsewhere in the world - such as the American Tyrannosaurus Rex and Triceratops. British Dinosaurs seeks to redress the balance by gathering together information on more than 60 different species that have been discovered as fossil remains in Britain - along with detailed illustrations showing how they are believed to have looked in life, based on the latest research. From the Late Triassic period more than 220 million years ago to the Cretaceous less than 100 million years ago, a wide range of dinosaurs lived in what are now England, Scotland and Wales - including long-necked sauropods, club-tailed ankylosaurs, spiky stegosaurs and a whole range of sharp-toothed meat-eating predators. Learn how these fascinating creatures lived, their habitat, what they ate and what animals wanted to eat them. It’s all here in British Dinosaurs.